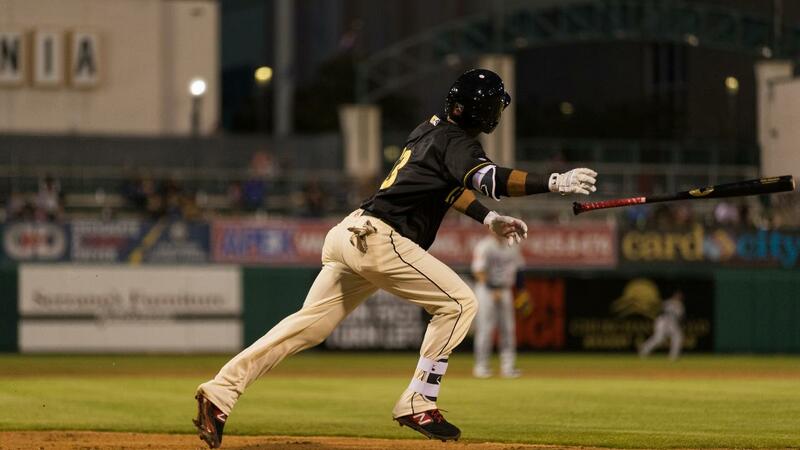 Fresno, Calif. (Saturday, April 6) - The Fresno Grizzlies (2-1) bounced back after Friday's loss with a grand showing Saturday night. After three walks loaded the bases in the bottom of the sixth, Matt Reynolds hammered a pitch to left field, giving Fresno a lead they wouldn't surrender. It was Reynolds' first grand slam in eight pro seasons. His bomb backed up four Grizzly pitchers, who combined to strike out 18 Aces batters. Austin Voth (1-0) earned the win after five strong innings, punching out nine. Austin Adams (3 Ks in 1.0 IP), Vidal Nuno III (5 Ks in 2.0 IP) and Tanner Rainey (1 K in 1.0 IP) followed Voth, finishing the final four frames. Reno (1-2) smacked 13 hits including three apiece by Domingo Leyba and Travis Snider. Yasmany Tomas also homered for the second straight night. Joel Payamps (0-1) suffered the decision after four innings of three-run ball. Jake Noll notched three hits and Yadiel Hernandez also went deep in the Fresno victory.